When I was a federal agent, I had the opportunity and privilege to work on international and domestic drug cases. As a last resort, we went through an arduous process of obtaining search warrant approval from the Department of Justice. This gave us access to using a wiretap to listen to the conversations as drug kingpins and cartel leaders planned their drug production, concealment, transportation and sales activity. With regard to bug sweeps, many private investigators (back then, and now) are fakers and pretenders. When I became a licensed private investigator in 1981, I was often asked by clients to determine if there were “bugs” in their home, offices or vehicles. The public calls this bug sweeps but in our world the technical term is electronic eavesdropping detection sweeps. I quickly determined that many of my contemporaries were not knowledgeable or skilled in this genre. They were just like me, except for one big difference: With regard to bug sweeps, many private investigators (back then, and now) are fakers and pretenders. They have no knowledge of how to actually find monitoring devices powered by batteries or the phone lines. They haven’t a clue on how to actually find cameras that are covertly hidden. I decided early on that I would research the law enforcement community and find those technicians skilled in this subject matter. Further, it was important that they have the necessary equipment to counter the sophisticated devices that can be purchased easily through the Internet. Key also was that the technicians keep up with fast-evolving devices, both in the United States and in foreign countries. We currently have 3 such technicians on our staff. One of our 6 websites that deals directly with this subject matter is www.bugsweepteam.com. This is not a sideline for us, but an integral part of our overall business. In those early days (from 1981 to 1988) we would find listening devices about 2% of the time. After the Seoul Olympics in 1988, we saw an influx of monitoring devices being brought into the country from that area of the world. Our “hit or find” rate then went to 4%. Today there are hundreds of web sites where you can buy “bugs”. Buying them is not illegal, but planting them is totally against the law and a felony throughout the United States. You simply can’t violate a person’s “right of privacy.” You can’t put them in your own home, car, bedroom, or office – even if you own them. Your spouse, or whoever you are trying to monitor or take photos of, has an “expectation of privacy” and to violate that right is against the law. During the past few years, the “hit rate” for us finding a monitoring device or camera in a home or business has risen to 16%. This number is based on all the sweeps we conducted in 2017. We expect the rate to climb slightly higher during 2018 and beyond. Every weekend during the year, we are busy conducting sweeps in businesses. This is done so our two-day, three-phase sweep can be conducted without the employees being present in their offices. Residential sweeps are usually conducted during the week where we accommodate the schedule of the client. A distinct “crackling” on your phone line. Others know about your conversations, schedule or activities but should not have access to that information. Electrical panels appear to have been tampered with. The feeling someone has been in your home or items have been moved or taken. 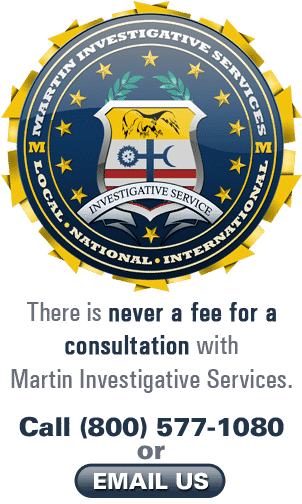 We are known as a very transparent agency composed of former federal agents of the FBI, DEA, IRS or Secret Service. Everything we do, including during bug sweeps, is clearly spelled out in an email with specifics as to the assignment, how long it takes and what it costs. Our cost to perform a sweep of a residence or business which is 3,000 sq. ft. or less is $5,800. That is our minimum and there are no exceptions. Larger areas can be approximated at $1.50/ sq. ft. That would mean a 10,000 sq. ft. residence or office would cost approximately $15,000. Most sweeps are completed over a two-day period. Finally, the art of locating monitoring devices and cameras is not a sideline for us, but an integral part of our overall business plan and activities. Please review our website which specifically addresses this subject matter at www.bugsweepteam.com. You can even see some of the actual devices we have found and equipment that we use to find them. Be very careful in your selection process. You are better off doing nothing than hiring a pretender who has some silly piece of equipment that detects a radio signal. If they give you a clean bill of health and there is something actually planted in your home or office, you are then really in trouble. Call our toll-free number anytime at 800.577.1080 to discuss at your convenience. Our staff will be pleased to provide a free consultation so you completely understand the process and answer all your questions.